Finding and improving renewable energy sources is becoming increasingly important. One strategy to generate energy is breaking water molecules (H2O) apart in an electrochemical reaction known as electrolysis. This process allows us to convert energy from the sun or other renewable sources into chemical energy. 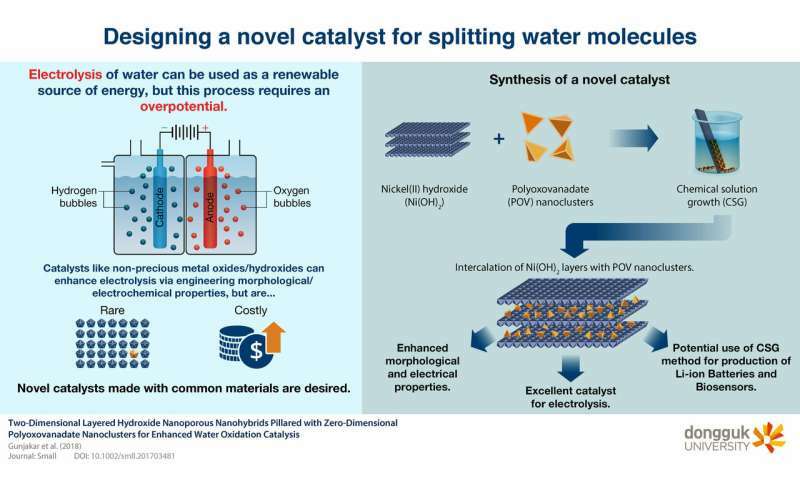 However, electrochemically splitting water molecules requires an overpotential—an excess voltage that has to be applied in addition to the theoretical voltage (1.23V vs. reversible hydrogen electrode or RHE) so that the necessary reactions can occur.